Posted on Wednesday, April 10, 2019. PAINTED LADIES - One of the most photographed and iconic landmarks in San Francisco, the Painted Ladies make up Alamo Square’s “postcard row” of Victorian houses, backdropped by the soaring skyscrapers of Downtown San Francisco. 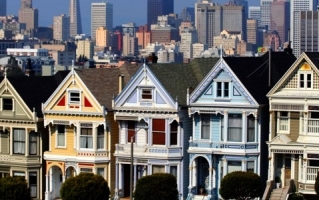 Situated at Hayes and Steiner Streets, the Painted Ladies, with the city behind, create a stunning visual treat. Featured in movies and on TV, the Painted Ladies are one of the 11 historic districts designated by the Department of City Planning. The area includes several bed and breakfast inns and a grassy square perfect for enjoying a picnic lunch. Stroll over to enjoy a tour inside one of the homes and stay to capture the perfect Instagram moment at sunset. CLIFF HOUSE & SUTRO BATHS - Once a fashionable resort for the rich and famous, the Cliff House, perched at Lands End on the northwest corner of San Francisco, has been attracting visitors since 1863. In the 1970s, it was acquired by the National Park Service to become part of the Golden Gate National Recreation Area and later restored to its original neoclassical design. 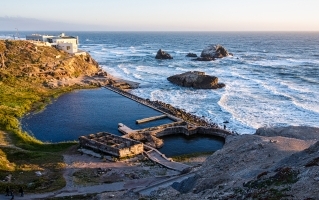 The adjacent Sutro Baths were constructed in 1894, featuring an ocean pool aquarium and massive public bath house covering three acres north of Cliff House. Today, visitors may dine in the Bistro Restaurant or sip champagne in the Terrace Room while enjoying panoramic views of Seal Rocks and the Marin headlands. Sutro’s restaurant captures views of the same, plus the Sutro Bath ruins and the entry to the Golden Gate Bridge. FORT POINT - For more than 150 years, Fort Point, or “the pride of the Pacific,” stood guard over San Francisco Bay following the Gold Rush through World War II. Though it never fired a shot, its beautifully arched casemates stand as an architectural relic, displaying the art of 3rd system brick masonry and interacting thoughtfully with the Golden Gate Bridge. In 1970, Fort Point became a National Historic Site. 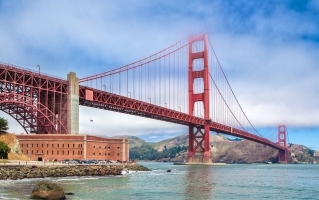 Today, visitors can take a self- or docent-guided tour, learning about the lives of soldiers once stationed there, the unique architecture and the defenses of the Golden Gate Bridge. 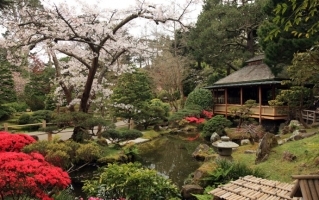 JAPANESE TEA GARDEN - The oldest public Japanese garden in the U.S., the Japanese Tea Garden is located inside Golden Gate Park, offering visitors the chance to experience the natural beauty and tranquility of a Japanese-style garden. Originally created as a “Japanese Village” exhibit in 1894, it would later become a permanent fixture, featuring five acres of gardens, an arched drum bridge, pagodas, stone lanterns, stepping stone paths, serene koi ponds and a zen garden. Explore the gardens and stay for a meditative cup of tea at the Tea House, featuring a farmhouse-style family table at the center of the garden. 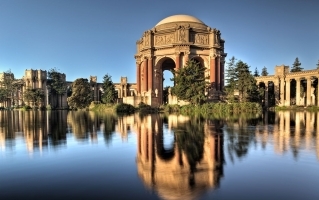 PALACE OF FINE ARTS - This San Francisco treasure and iconic landmark was built after the 1906 earthquake and fire to show the world how the city had risen from the ashes. Civic leaders wanted to host the century’s first great world’s fair, a grand exposition to honor the completion of the Panama Canal, beating out New Orleans and Washington D.C. to host in 1915. Situated moments from the Golden Gate Bridge, the Palace of Fine Arts, by architect Bernard Maybeck, features a Greco-Roman rotunda and colonnades, exquisitely planted grounds, a lagoon and exhibition center and theatre. Now a celebrated destination for events, galas and trade shows, Palace of Fine Arts also hosts incredible cultural events and performances.